Employment law expert Snigdha Nag, a Barrister and Senior Lecturer at The City Law School wonders whether the employment law rights of millions of workers and employees in the UK is the number one hidden issue in the Brexit debate. A common refrain of Brexit campaign supporters is, “we don't want Brussels to dictate what laws the UK should pass”. But many of those laws are for the benefit of millions of workers and employees. This naturally benefits society in general. 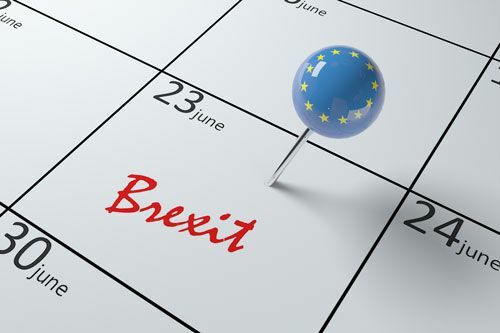 Did you know that UK workers did not have the right to paid annual leave even for Bank Holidays until the EU Working Time Directive created the right for UK workers and employees? Should the UK vote for Brexit on 23rd June, the key rights which are under threat are for those who often cannot fight for themselves. Part-time workers, the vast majority of whom are women, have been protected from discrimination and were given the same protection as full-timers. Thousands of agency workers enjoyed no rights whatsoever, until the EU sought to protect them. 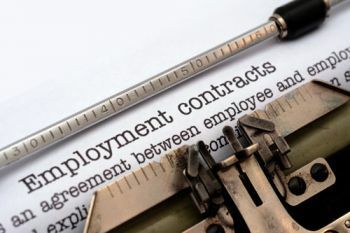 Those whose companies are sold out or bought up under their very feet, have their contractual rights preserved, and cannot be sacked to facilitate deals done under the table. Health and safety rights, so often considered petty, actually safeguard employees undertaking genuinely dangerous work. Collective consultation for major redundancy situations; think of the unfortunate British Steel or BHS employees, thousands of people, their livelihoods and families are to be affected. We take it as read now that treating someone badly at work or refusing them a job because he is gay or she is lesbian is wrong. Most would be appalled at a job being refused on those grounds, or because of the religion (or atheism or agnosticism) of the applicant. This discrimination is unlawful because of European law. Do you consider your basic work rights a "burden", an inconvenience? Aren't they a fair price to be paid by employers in return for your hard work and diligence? Do we want more poorly protected zero hours contracts? More workers who cannot obtain mortgages as they do not have regular wage or regular hours to show a lender? What about rights to maternity leave, paternity leave, adoption leave, parental leave and flexible working? Everyone who is in work and is registered to vote needs to be more aware that some of the things which give them work-life balance, the right to be treated fairly at work, or the ability to enjoy a life with their family when not “in the office” come from what is often portrayed as an institution more interested in the straightness of cucumbers than the welfare of hard working people. It is time this issue got the attention it deserves. The EU Working Time Directive, 2003/88/EC, is a Directive of the European Union. It gives EU workers the right to a minimum number of holidays each year, rest breaks, and rest of at least 11 hours in any 24 hours; restricts excessive night work; a day off after a week's work; and provides for a right to work no more than 48 hours per week. It was issued as an update on earlier versions from 22 June 2000 and 23 November 1993. Since excessive working time is cited as a major cause of stress, depression and illness, the stated purpose of the Directive is to protect people's health and safety.